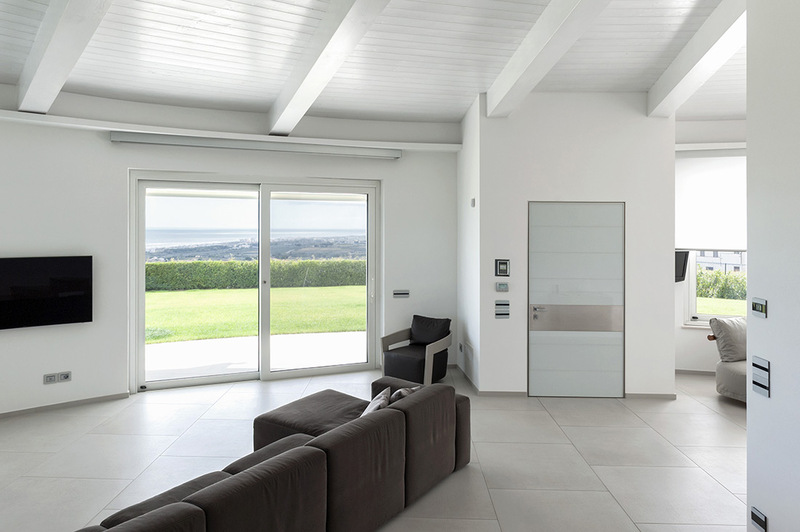 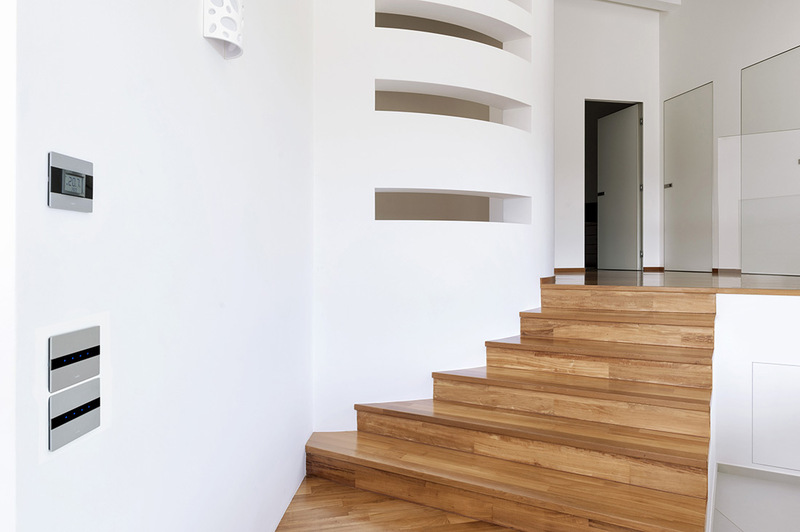 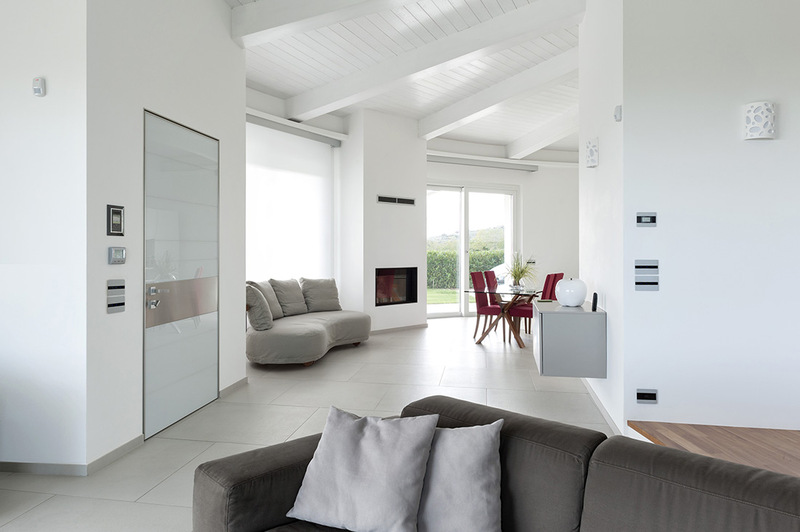 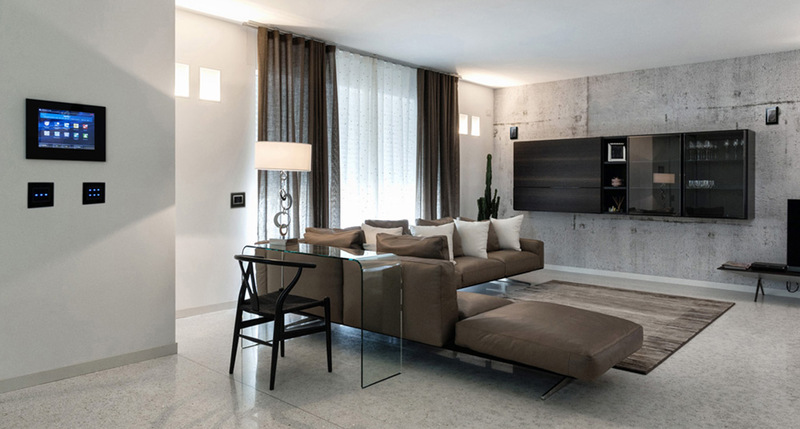 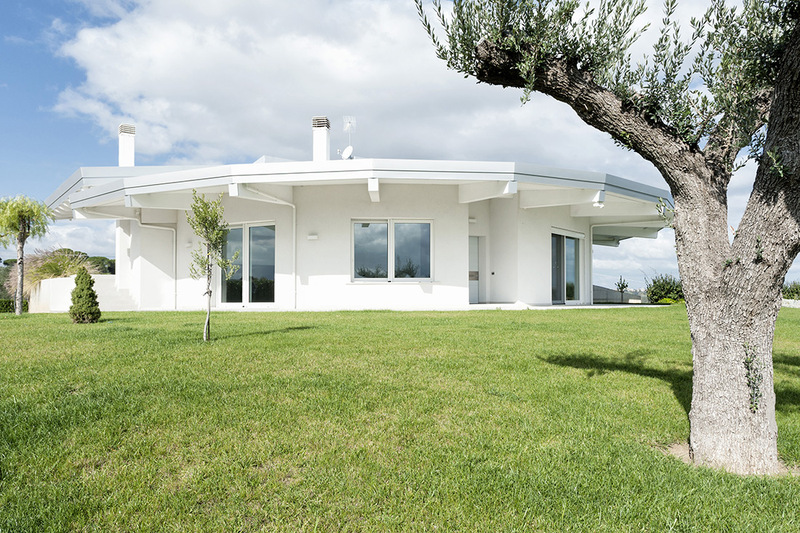 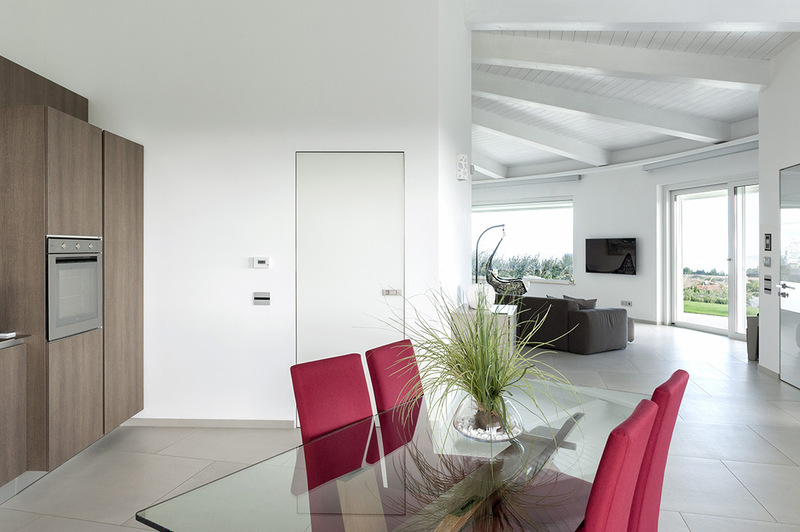 DOMINA plus home automation enters in this house of Vasto, in the Italian province of Chieti, to offer smart solutions supported by the technological elegance of aluminium. 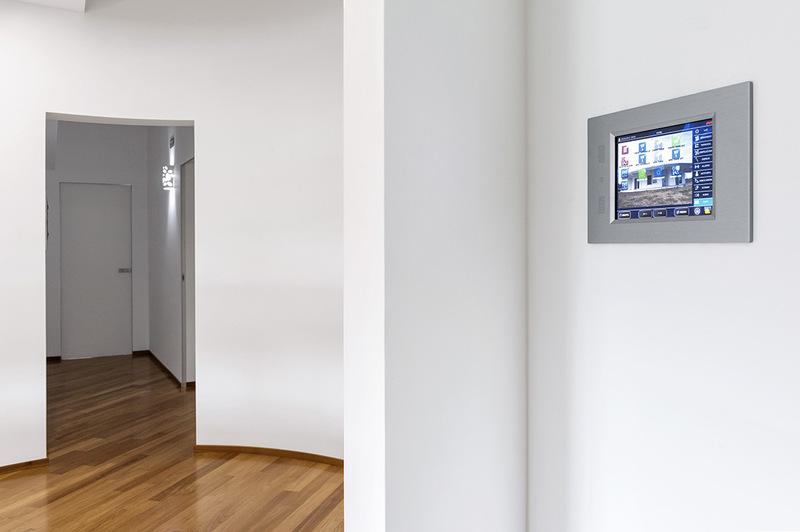 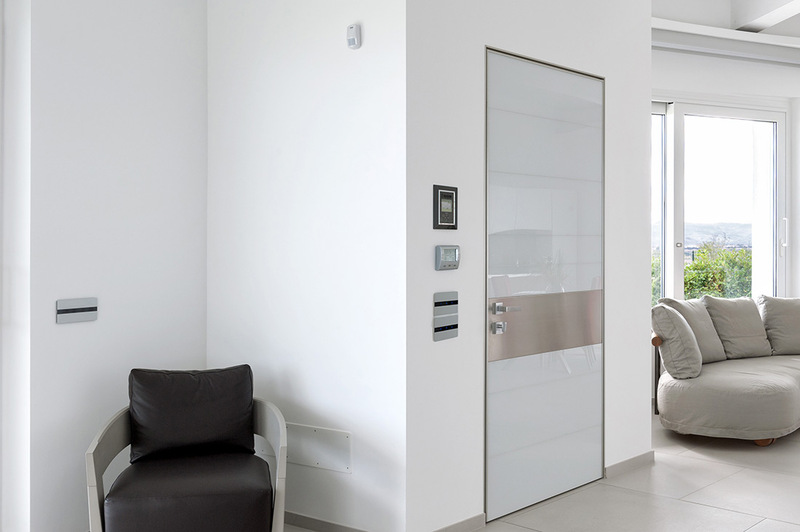 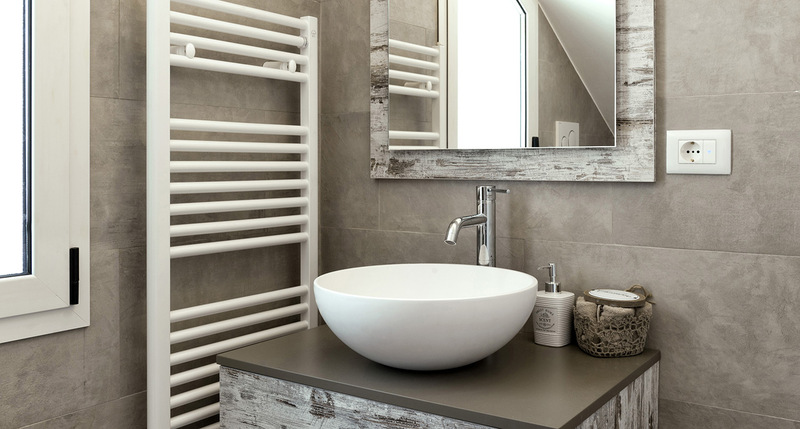 Surrounded by a natural brushed aluminium frame, the 12″ Touch Screen supervisor becomes the symbol of the whole house. 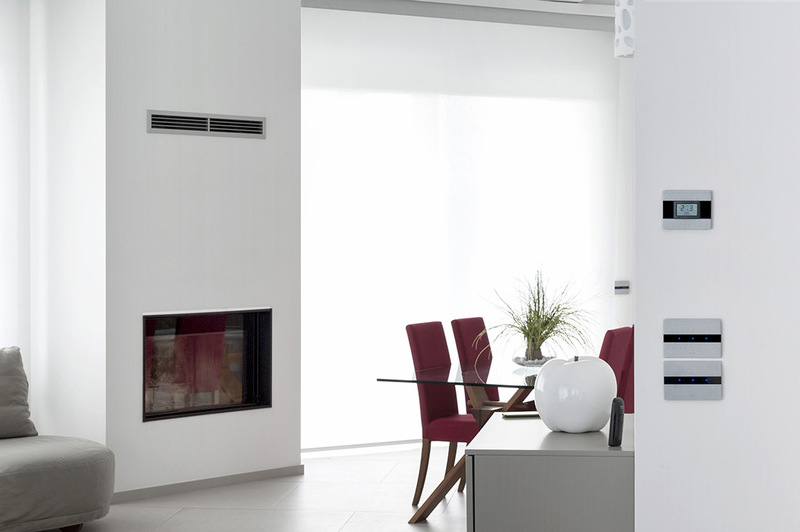 A highly advanced control centre from which users can navigate among environments and control the integrated functions simply by selecting the related icons. 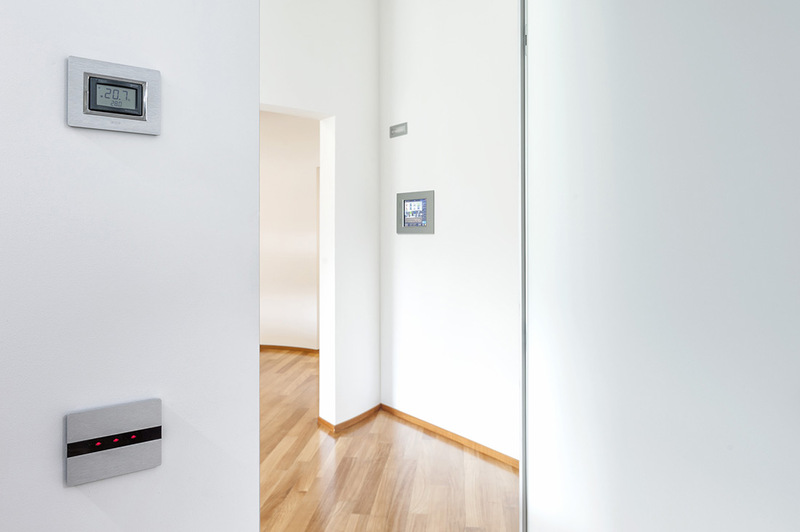 In this reference, home automation is combined with touch technology. 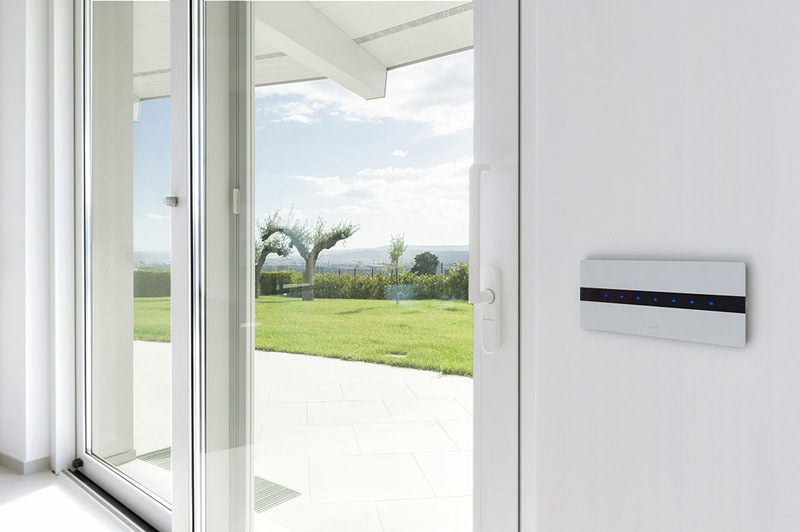 Taking up the same design of the Touch Screen supervisor, the Allumia Touch natural brushed aluminium front plates become themselves advanced control points to manage the integrated functions. 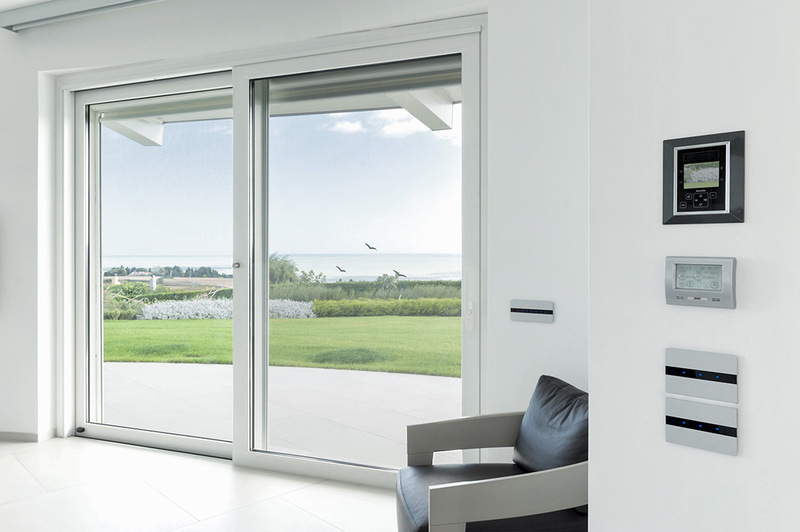 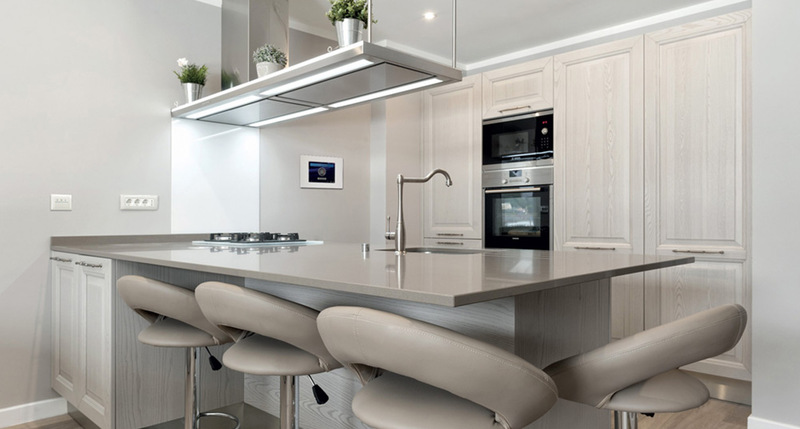 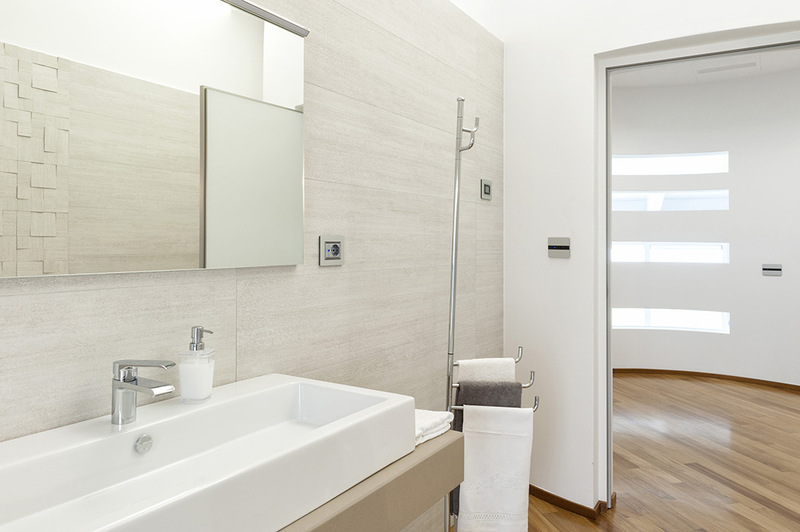 Furthermore, the innovative AVE sliding front plates protect the socket outlets improving domestic safety and increasing the value of the system.